Tickets are issued per person and are valid for the duration indicated on them. City Tour tickets validity start upon purchase with our staff or redemption of your booking. The purchase of a ticket includes one set of headphones per person, which must be retained during the validity of your ticket. It is not permitted to smoke, it or drink on the bus. For your safety, passengers must remain seated throughout the tour and must not lean out of the windows. It is not permitted to stand on the upper deck while the bus is moving. Please do not open umbrellas on the bus. Bus users must be suitably dressed. No animals are allowed on board, with the exception of guide dogs. Only small suitcases are allowed on the bus. There is only space for 1 wheelchair or pushchair. Additional items must be folded and left in the space designed for them on the lower deck. Owners are solely responsible for any property brought onto the bus. Bus timetables may be viewed online. London City Tour has the right to refuse admission. Prices are published in pounds but are charged in euros on the buyer's account. Prices are subject to change without prior notice. CTWW may change the product prices as it deems necessary. As a result, the User, when accessing websites showing the prices of the CTWW products, must make sure that these are the most recent websites and not an older version stored in the browser's cache. It is for this reason that when viewing the prices of the products, the User agrees to click on the "Update" icon. If not, CTWW shall not be liable for any discrepancies between the product price shown and the latest price, the latter of which shall be applied. Online purchases accept payment by credit card or Paypal. Offline purchases accept forms of payment including GBP Cash, Visa, Mastercard, American Express, Diners and Discover Card. The products are not refundable under any conditions, including lack of use, theft or loss. Refunds and exchanges are not allowed unless the service is cancelled. Please keep your tickets safe. If tickets are lost or altered you lose the right to board the bus. The company will not be liable for any loss or damage. Please take care of your belongings. 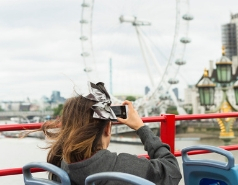 This personal and non-transferable ticket entitles the holder to use the London City Tour during the validity period indicated on it. It must be kept and shown at demand to any employee of the Company. No refunds will be given after it has been purchased and its loss or theft not entitle the holder to any change or refund. Tickets must be produced for inspection to any authorised Company Officer at any time. Refunds and exchanges are not permitted for alterations to the service due to events or reasons beyond the control of London City Tour. 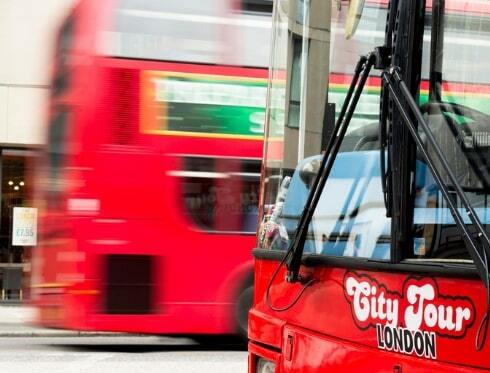 London City Tour reserves the right to make changes to the itinerary or schedule at any time without notice. Any changes will not give anyone the right to a refund of any kind. Any application for a refund must be addressed to the registered office of London City Tour. If your ticket is purchased through a third party, any queries regarding the tickets purchase or refund request, must be addressed to the agent you purchased the ticket from. London City Tour is acting as a reseller of all the attractions & activities shown on the present brochure. These attractions are owned by other operators and therefore the company will not be liable for any loss or damaged suffered when enjoying these attractions. Silver and golden tickets attractions will be subjected to the terms and conditions set by the attractions themselves and only the attractions are responsible to determine whether a customer is admitted or allowed to join the activity. LCT will not take any responsibility if the ticket expires before being redeemed against any attraction. 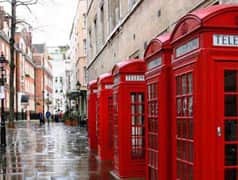 London City Tour is only acting as a disclosed agent of all the attractions & activities, except from City Tour bus, included in silver & golden tickets. These attractions are owned by other operators and therefore the company will not be liable for any loss or damaged suffered when enjoying these attractions.